PONT’s education team help pupils in Wales and Uganda to learn more about their world. 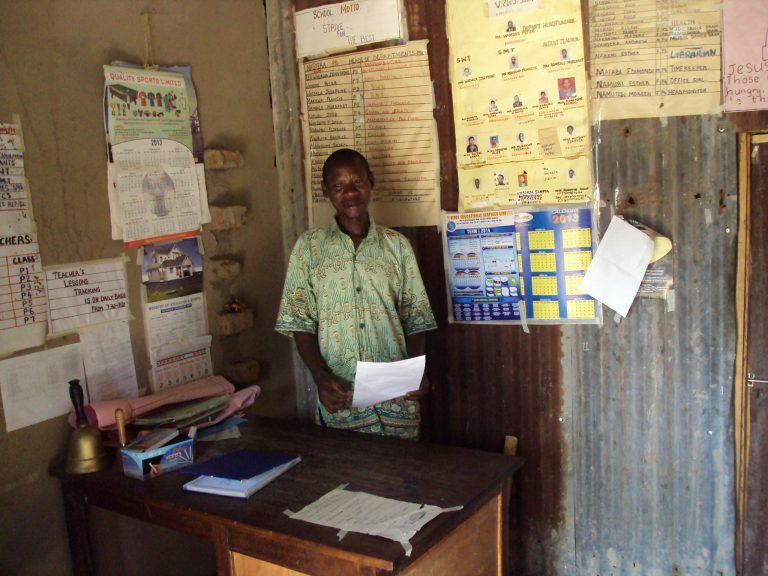 We provide resources and training to improve education opportunities in Mbale. We’ve set up school links, school libraries and an IT Hub to support learning and training in the region. We plant trees and provide solar and hydro power. We bring teachers together to learn from each other and we help them support pupils with disabilities. We’ve linked over 100 schools in Wales with schools in Mbale region – including nursery, infants, primary, secondary and special schools. Schools send each other letters and pictures and many teachers, headteachers and students have visited each other. Partnerships allow teachers and pupils to learn about and respect each other’s cultures and ways of life. They share ideas and experiences and develop common projects in areas such as literacy, numeracy, geography sport, music, and sustainable development, to enhance the curriculum. Schools build up friendships and this usually leads to Welsh schools helping their Ugandan friends to have basic equipment, better facilities and resources to give them more opportunities. Many schools have provided sports kit and equipment, textbooks and exercise books, and the chance to plant trees to fight climate change. 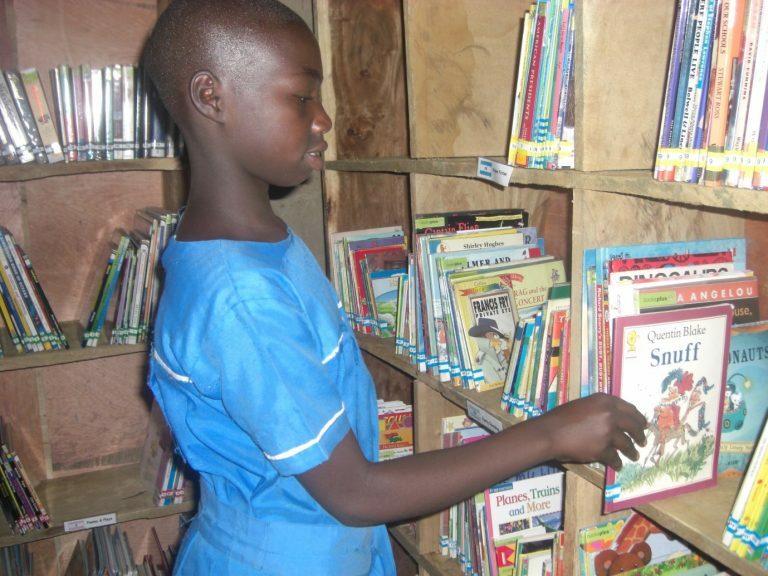 PONT has set up libraries in over 30 PONT schools, some with the support of the Africa Educational Trust. 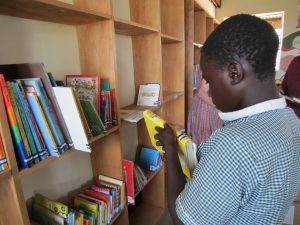 In this partnership the school provides a classroom and shelving, while PONT or the AET trains teachers and sends the books. Most are donated by partner schools, others by the AET. We’ve trained teachers to act as librarians so that the project is sustainable – categorising books, keeping records of borrowing, and encouraging “reading for pleasure”. In total, we’ve sent around 20,000 books, helping to develop and accelerate a reading culture in schools and build the foundations for learning. 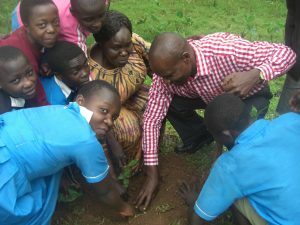 Every PONT school in the Mbale region should have an environmental project. For many this is tree planting – children have planted over 1000 trees. Climate change is real for children in Uganda, whose parents are seeing changes to growing seasons for crops. By teaching them to understand this we can empower them to be responsible for their future. PONT’s holistic approach means several PONT schools have benefited from our Engineering links. Heavy rain used to stop classes at Lwandubi Primary school, when classrooms became too dark to continue. Gaining the computer skills pupils needed was out of the question. But with the help of local electricians (and school pupils!) two volunteer engineers have installed solar panels that can power the lighting and several laptops. 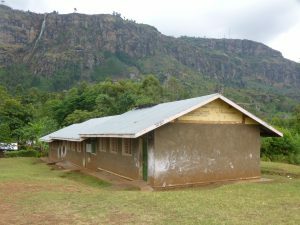 Situmi, Nasyera, Busimba and Butsemayi Primary School and Bukalasi Secondary School have also benefited from solar panels, while at Bumayoko Primary School we’ve installed a hydro-electric system using a nearby stream. Teachers and headteachers come together at our annual conferences to share knowledge and responsibility for improving standards. Rural Ugandan schools face many challenges – large classes, lack of materials, pupils travelling long distances without a meal. Meeting in this way allows teachers to solve problems together. They discuss ideas and agree on plans, as well as being motivated in their work by speakers from Wales or from local government. 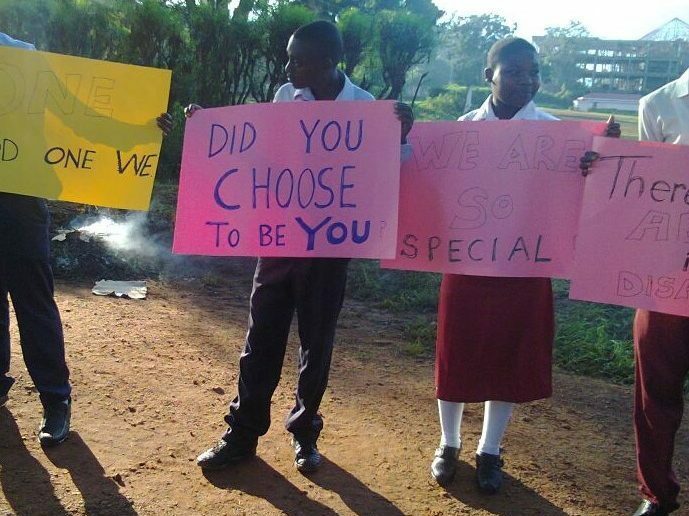 Though the Ugandan Government has provided computers in most secondary schools, teachers are not always confident in making the most of them. We worked with the British Council to set up an IT Hub for teachers to learn about using IT in their schools, to communicate with their partner schools and to access online training that can improve their teaching. The hub also means that internet facilities are now available to all teachers and pupils across PONT partnership schools and beyond. We empower teachers to be the best they can for their pupils – they know what will help, but they need resources. Poor rural African schools face many challenges but being part of the PONT network really gives schools an edge. Rural schools don’t typically produce good academic results but training and resources such as textbooks have gone a long way to improving achievement. Some of the best government primary schools across Mbale region are PONT schools. Bubutu Secondary School achieved the best results in their district in 2016. We’re seeing the power of partnership in action. From 7 schools in 2005 the programme has grown as schools see what richness a partnership can bring to their school life. The educational and cultural learning on both sides has been immeasurable. By creating friendship links between schools, pupils can not only share their experiences across borders, but also learn to respect and embrace other cultures. The project aims to create a new generation of global citizens, which is a small step towards a more equal world. 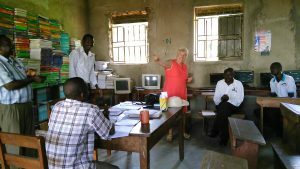 PONT’s programme works because we understand the challenges teachers face in Uganda and in Wales. Friendships don’t just happen – it takes time and effort to fit projects into busy school life. But we think the rewards are clear. 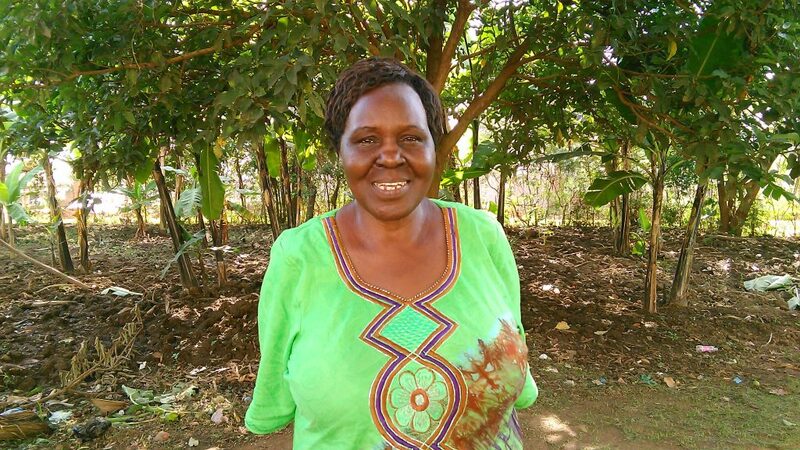 Our Education Links Co-ordinator Eleanor works tirelessly in Mbale to maintain these links, visiting schools that are struggling or new to the programme, explaining expectations and ironing out issues (such as different communication styles) so partnerships can flourish. Like all PONT projects it’s built around the power of a grassroots network – teachers and headteachers on the ground identify needs, and we find solutions together and plan for a better future. Will you help us give children opportunities to learn and grow?